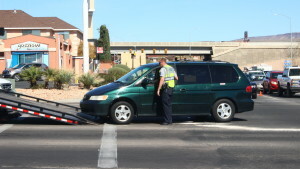 Washington — A late morning collision between a green Honda Minivan and a Honda SUV led to the minivan being towed and a citation issued to its driver. Police responded to reports of a crash at the intersection of Telegraph Street and Green Springs Drive at approximately 11 a.m. When officers arrived, they found a Honda SUV had collided with the side of the minivan, Washington City Public Information Officer Ed Kantor said. The Honda SUV male driver and the Honda minivan’s driver, a male, and his female passenger received medical evaluations at the scene by Washington City Fire personnel and released, Kantor said. No airbags were deployed in either vehicle. 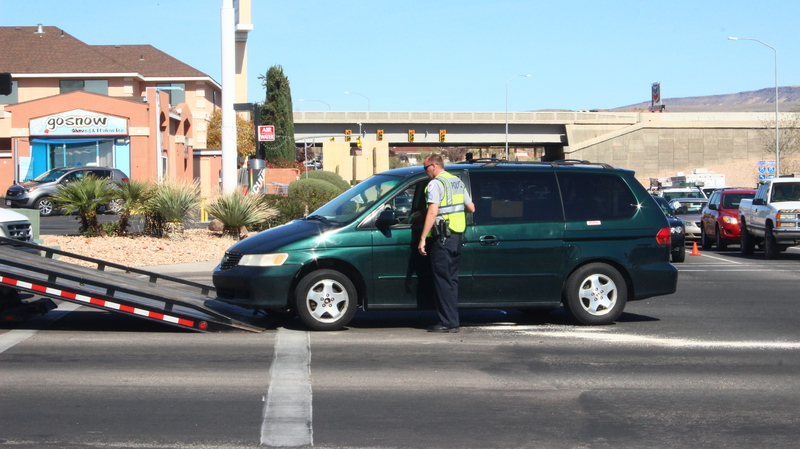 The driver of the Honda minivan was issued a citation for failure to yield. The minivan was towed from the scene while the SUV’s driver was able to drive away. Washington City Police Department and Washington City Fire Department responded to the incident.